Cells are grown and maintained at an appropriate temperature and gas mixture of oxygen, carbon dioxide, and nitrogen in a cell incubator. Culture conditions vary greatly for each cell type. The variation of conditions for a particular cell type can result in different phenotypes. Capnophiles are microorganisms that thrive in the presence of high concentrations of carbon dioxide. Diazotrophs are microorganisms that fix atmospheric nitrogen gas into a more usable form such as ammonia. capnophile: A microorganism that requires or grows best in presence of high concentrations of carbon dioxide. diazotroph: A microorganism that can fix nitrogen. Cells are grown and maintained at an appropriate temperature and gas mixture (typically, 37°C and a mixture of oxygen, carbon dioxide, and nitrogen) in a cell incubator. Culture conditions vary greatly for each cell type. The variation of conditions for a particular cell type can result in different phenotypes. 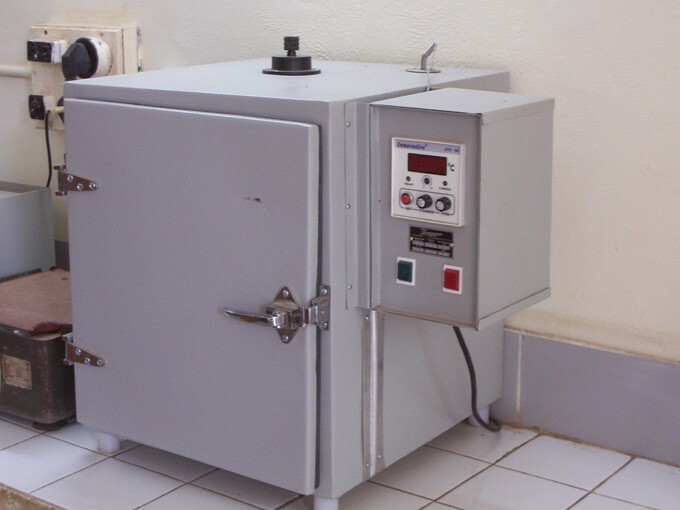 Bacteriological incubator: Cells are grown and maintained at an appropriate temperature and gas mixture of oxygen, carbon dioxide, and nitrogen in a cell incubator. Capnophiles are microorganisms that thrive in the presence of high concentrations of carbon dioxide. Typically, in a cell culture the CO2 concentration is around 5%. Some capnophiles may have a metabolic requirement for carbon dioxide, while others merely compete more successfully for resources under these conditions. 1) obligate anaerobes that cannot tolerate oxygen even if they are not fixing nitrogen. They live in habitats low in oxygen, such as soils and decaying vegetable matter. 2) Facultative anaerobes that can grow either with or without oxygen, but they only fix nitrogen anaerobically. Often, they respire oxygen as rapidly as it is supplied, keeping the amount of free oxygen low. 3) Aerobes that require oxygen to grow, yet their nitrogenase is still debilitated if exposed to oxygen. 4) Oxygenic photosynthetic bacteria generate oxygen as a by-product of photosynthesis, yet some are able to fix nitrogen as well. 5) And finally, Anoxygenic photosynthetic bacteria that do not generate oxygen during photosynthesis as they have only a single photosystem which cannot split water. In addition, nitrogenase is expressed under nitrogen limitation. Some higher plants, and some animals (termites), have formed associations (symbioses) with diazotrophs. Examples of those diazotrophs include: rhizobia that associate with legumes, plants of the Fabaceae family, frankias, and cyanobacteria that associate with fungi as lichens, with liverworts, with a fern, and with a cycad.